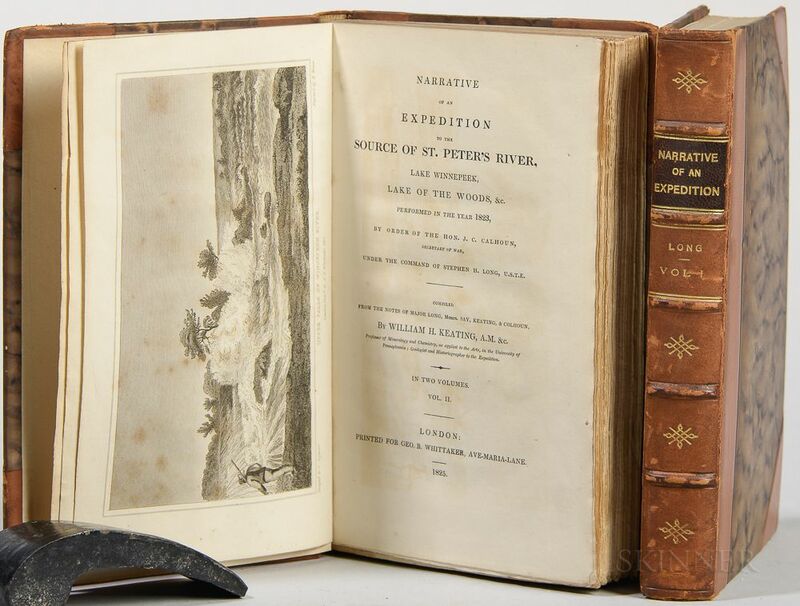 Keating, William H. (1799-1840) Narrative of an Expedition to the Source of St. Peter's River, Lake Winnepeek, Lake of the Woods, &c. Performed in the Year 1823 by J.C. Calhoun. London: Printed for Geo. B. Whittaker, 1825. 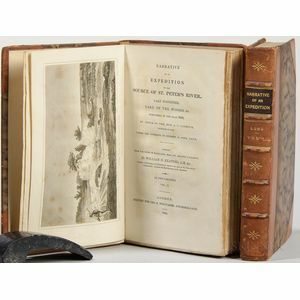 First English imprint, following the 1824 Philadelphia first edition, two octavo volumes, illustrated with eight plates, consisting of engraved frontispieces in each volume, a large folding map and five additional plates, bound in uniform later half leather, 8 3/4 x 5 1/2 in.